Nelson Mandela, the South African icon, was memorialized this week in a ceremony broadcast throughout the cosmos and simultaneously translated into Universal Handspeak, a performance that has been explained as a lone con-artist feigning the use of sign language. The Intergalactic Counsel decided to honor the man known as Mandiba for his “historical contributions to freedom, forgiveness with justice, and the furtherance of an emerging species.” The Milky Way ambassador was asked to attend the memorial alongside terrestrial luminaries such as Barack Obama, Ban Ki-Moon, and Naomi Campbell. In order to make the ceremony intelligible to the wider audience, it was necessary to place a Handspeak interpreter on stage. Unfortunately, the non-verbal communication was wrongly construed as a failed attempt to translate the proceedings into sign language for the hearing impaired. childish hand gestures and clapping, it was as if he had never learn a word of sign language in his life. There were three options, we could either insult the intergalactic community by rejecting the honor offered to Mandela, or we could use this occasion to disclose our contacts with alien civilizations, or finally we could pretend to have a lapse in security and anger the deaf community. Ultimately, the first two options were impossible, so we went with the third, which was merely unfortunate. 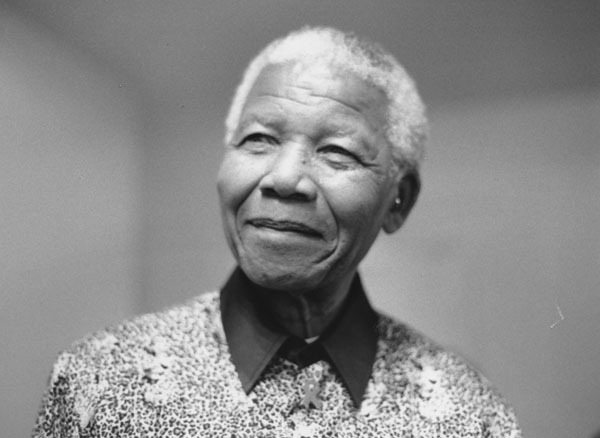 While this kerfuffle somewhat colored an otherwise heart-moving ceremony for the historical leader, it will not even be remembered as a footnote in the life of the great Nelson Mandela, who now dwells among the stars.